“We will seek to provide unprecedented financial pressure on the Iranian regime," the U.S. said, rebuffing Britain, France, and Germany. 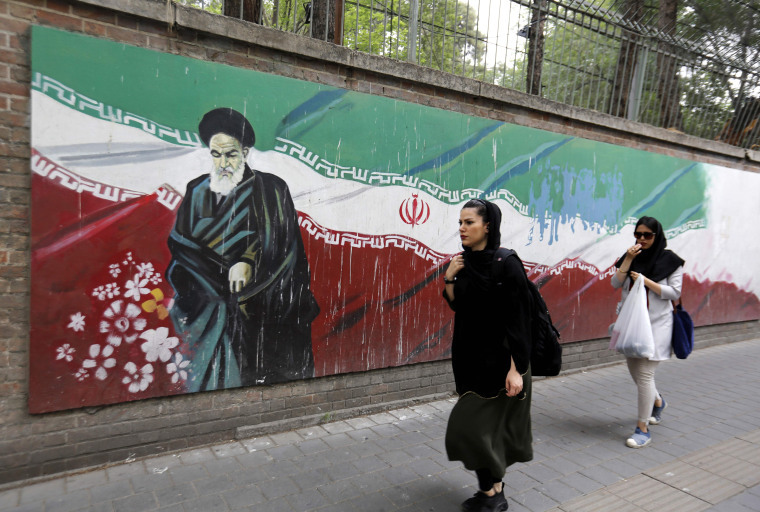 The administration planned to maintain sanctions on Iran until the United States sees a “tangible, demonstrable and sustained shift in the policies we have enumerated,” it said. As a result, the administration wrote, the United States is “not in a position to make exceptions to this policy except in very specific circumstances where it clearly benefits our national security.” The letter also noted exceptions for humanitarian purposes. The three European powers, which also signed the nuclear deal along with Russia and China, sharply disagree with the U.S. withdrawal and are working to keep the accord from unravelling. Last month, the foreign and finance ministers of Britain, France and Germany wrote to their counterparts in Washington saying their governments believed the Iran nuclear deal was worth preserving as it offered the best chance of preventing a nuclear-armed Iran. And they asked the United States not to take action to prevent them from providing sanctions relief to the Iranians as promised under the accord. In their letter, the ministers said they expected the United States — as a close ally — not to enforce sanctions against EU companies doing business in Iran. And the ministers asked the United States to refrain from punishing firms in certain commercial sectors, including energy, auto manufacturing, aviation, infrastructure and pharmaceuticals. Without some protections from Washington, most major European companies will have little choice but to pull out of Iran, as they can’t afford to lose access to the much larger U.S. market or to jeopardize their ability to finance deals in U.S. dollars. Given the Trump administration’s confrontational rhetoric on Iran, European diplomats said they are not surprised by the administration’s reluctance to carve out major exceptions for European companies. Tough talk from President Donald Trump and his deputies has made clear the United States is intent on waging economic warfare on Iran, European officials and experts said. As part of the economic pressure campaign, senior U.S. officials from the State and Treasury departments are pressing allies and partners around the world to reduce their purchase of Iranian oil while also appealing to Saudi Arabia to increase its oil production to prevent any major disruption of energy markets. A U.S. delegation held three days of talks in Saudi Arabia this month “to discuss energy, diplomacy, security, and economic pressure” on Iran, the State Department official told reporters. Pompeo has unveiled plans for a major address on July 22 entitled “Supporting Iranian Voices” after having issued a series of tweets endorsing Iranian protests and pointing to high unemployment among the country’s youth. “People are tired of the corruption, injustice & incompetence of their leaders. The world hears their voice,” Pompeo wrote on June 27. Some critics of the administration, including Sen. Tim Kaine, D-Va., say the withdrawal from the Iran deal combined with the administration’s sharp public statements raise the risk of a potential war with Iran. “I fear the United States is on the verge of blundering into another unnecessary war with Iraq’s next-door neighbor Iran,” Kaine wrote in The Atlantic.